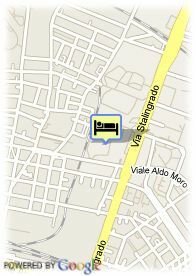 Savhotel is a modern business hotel nearby the Congress Palace of Bologna. 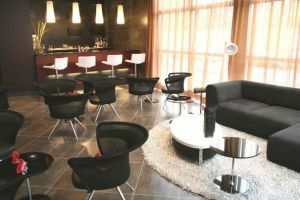 The Savhotel, built and designed both for business people and for families, is placed at 200 metres from the exhibition centre and the Congress palace, at 6 minutes from the central train station and the Maggiore Square. The establishment offers 120 rooms decorated in a modern and elegant style, with parquet flooring, avant-garde furniture and big windows which make them brighter and more pleasant. The rooms have high level soundproofing, being equipped with a big private Bathroom, mini bar, air conditioning, dial-phone and LCD TV. The restaurant Linee Esencial offers a rich buffet breakfast and in the evenings it turns into a comfortable restaurant with simple dishes and refined presentation. In the Bar of Savhotel the clients could taste more than 100 different sorts of cocktails, together with an exquisite selection of the fine Italian wines. The Conference Centre is made up by 4 reunion halls ideal to hold any kind of events or celebrations for until 150 people.